You can order new services, or pay for renewals of your existing products. 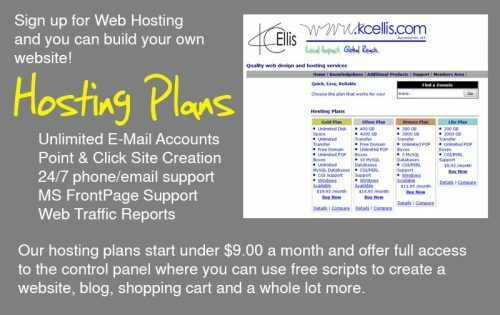 If you would like to purchase a domain name, build your own website on our discounted hosting server, or just like to control the whole process, please visit www.kcellis.us where you can order the products and services you require. If you want us to quote a website or graphic design project send us an email.